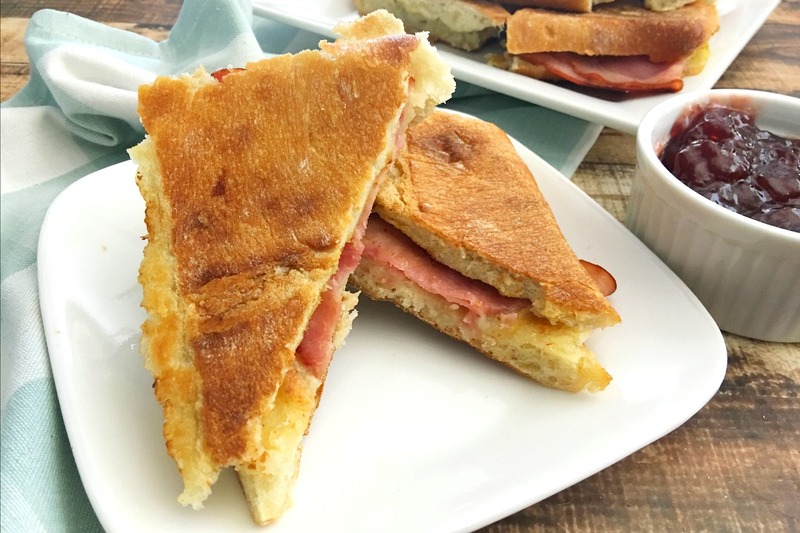 This is my 5-Ingredient hack on the Monte Cristo sandwich. You’ll need a flat-ish bread, like ciabatta or whatever you can find in the bakery. Ham and cheese. And you’ll need to panini-fy it – warm it up, smash it together. And then you’ll devour each bite that’s been dipped into a sweet preserves – like strawberry or raspberry. 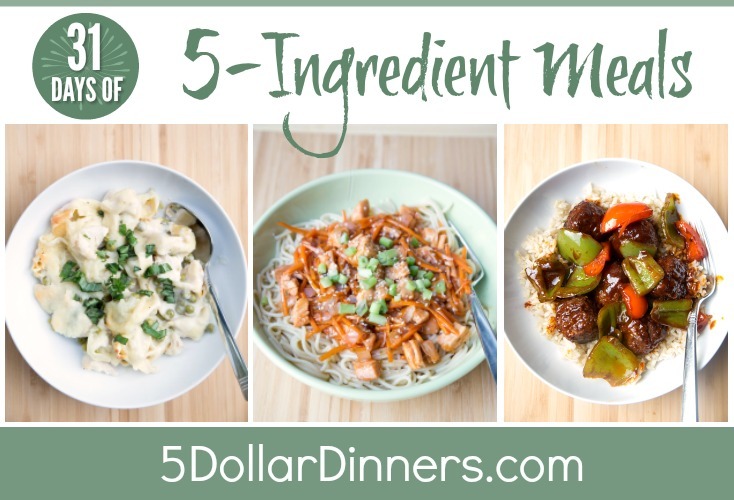 This is a great and fun way to “jazz up dinner” while still keeping it simple with a “sandwiches for dinner” kind of night. Preheat panini press or griddle. Assemble the sandwiches by adding ham, cheese, and mustard to the ciabatta bread. Add sandwiches to panini press or griddle and grill for a few minutes, until warmed through. 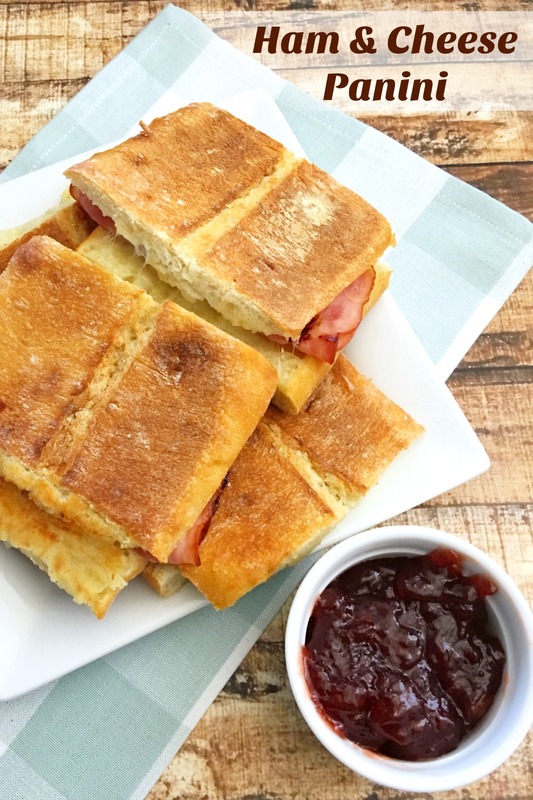 Serve Ham & Swiss Panini with strawberry preserves for dipping and a side of fruit.